California urban artist David Gonzales has given Chicano and Lowrider style a presence in popular culture like never before. 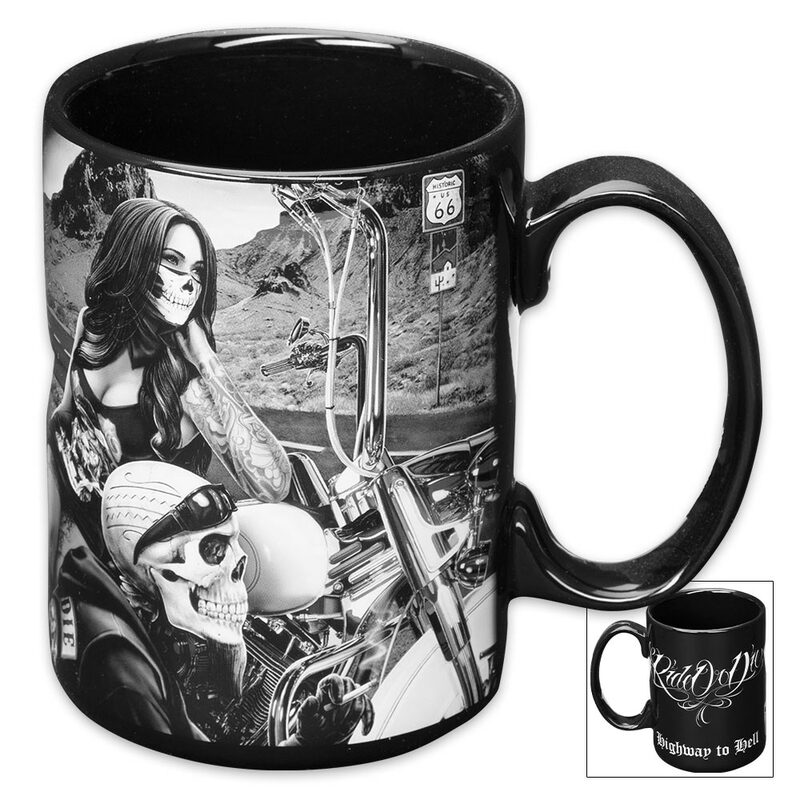 His Highway to Hell artwork of his signature black and white Ride or Die series is displayed on this coffee mug. A skeletal biker chica rides with a skeletal biker down Historic Route 66. 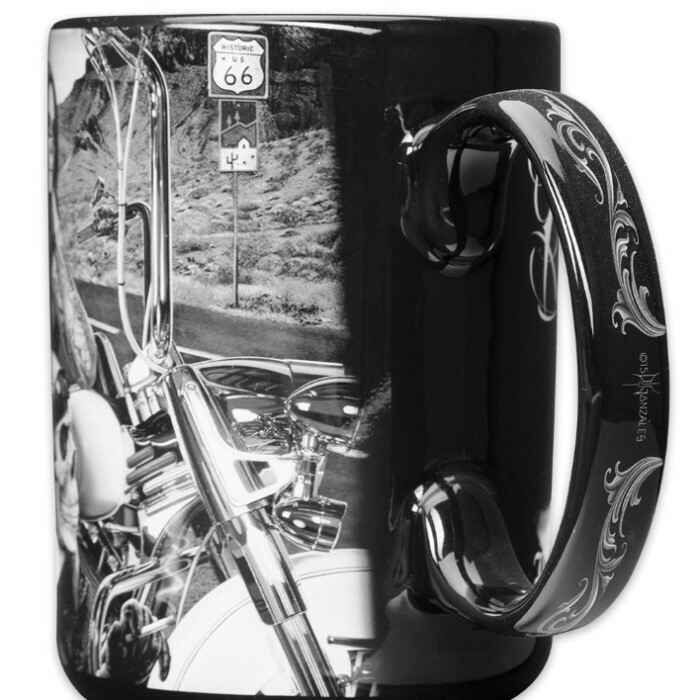 The mug is crafted of ceramic and should be hand washed to preserve its quality. Own a piece of artwork from this legendary artist today!